Little, Oliver& Gallagher PLLC is committed to protecting clients’ rights by holding careless practitioners accountable for the damage they cause. Our medical malpractice lawyers in Oklahoma City have the resources and legal knowledge to determine if your injuries are grounds for a medical malpractice case. They can effectively handle the complexities of a medical malpractice case, and help you achieve maximum recovery. When a medical doctor or hospital staff injures or kills a patient in Oklahoma as a result of committing medical malpractice, a highly qualified attorney at Little, Oliver & Gallagher can sue the doctor and/or the hospital for just financial compensation on behalf of the patient and/or their surviving family. By hiring a highly experienced attorney in Oklahoma that specializes in this area of the law, injured patients may be able to recover financial damages for medical bills and lost earnings, as well as pain and suffering. Because there are so many legal complexities involved in medical malpractice cases in Oklahoma, that demand both legal and medical expertise, these lawsuits are among the most difficult to navigate through the court system. To have any chance of prevailing in court, it is vital that you retain an attorney with not only the knowledge and experience, but also the resources to go the distance in litigating your claim. 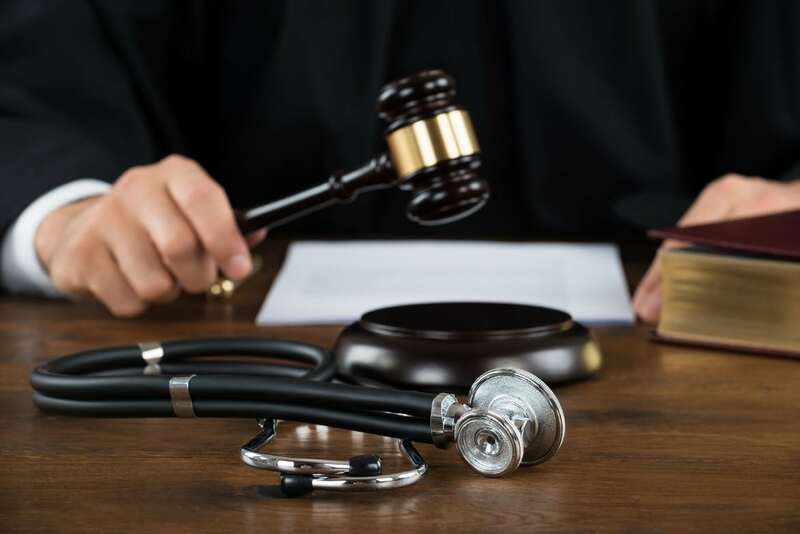 The medical malpractice attorneys at Little, Oliver & Gallagher Law Firm have acquired decades of experience holding medical professionals liable for their negligence and attaining just verdicts and financial settlements for our many clients throughout the years. If you believe that you or a family member has suffered injuries as a result of medical malpractice, we invite you to complete the form we’ve provided in order to arrange for a free legal consultation to discuss your suspicions. Medical malpractice is when a medical doctor, healthcare professional or other medical professional deviates from what is considered the “accepted standard or level of care” when providing services to patients. The defendant in the case, which would be the doctor, nurse and/or hospital, owed you or the injured party a duty of care that was not provided. Doctors and medical professionals are required to give their patients a certain level or standard of care to avoid any harm coming to them. The defendant failed to provide the required duty of care. The patient suffered injury directly caused by this failure. The patient has damages in the form of medical bills, lost wages, pain and suffering due to this injury. To determine what costs may be incurred in the future, our attorneys will consult with medical as well as financial/economic experts to show the court the type and extent of care you will need in living with this injury. We will also determine the medical costs for ongoing treatment that may be required. These kinds of costs last a lifetime and will be adjusted based on inflation. Our lawyers at Little, Oliver & Gallagher Law Firm, that specialize in a vast array of practice areas, will work to determine what non-economic losses you’ve had as a result of being injured. These would include the monetary value of intangible damages, such as the loss of the enjoyment of life, physical pain and the suffering you’ve endured and are likely to continue to endure.